Thanks, I’ve changed mine now! Thanks! Was looking for something to replace the plugin so this is perfect timing. I’ve used Xenu for years, it’s excellent. 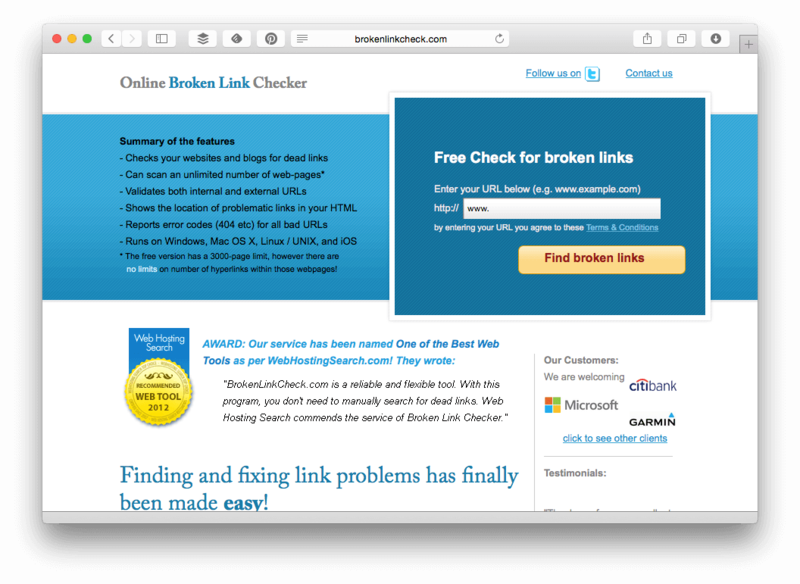 Always makes me cringe when people recommend the broken link checker plugin. Oh I know, and I spend so much time deactivating it on client sites! Some people defend it saying best practice is to activate it once a month but in my experience people leave it activated all of the time! 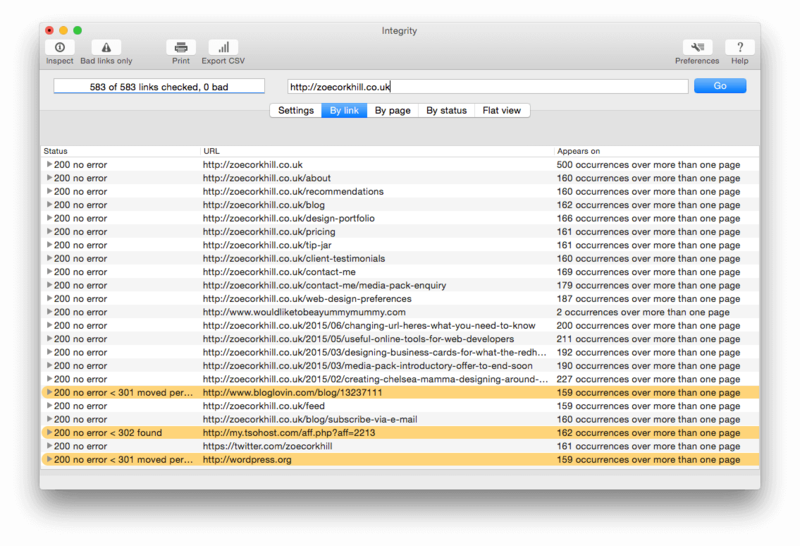 Thanks so much for this I will remove my broken links checker asap & install the MAC one. I’ve been trying to back my site up all day for the first time since May after realising in needed some serious blog maintenance! I literally just deleted that plugin last week after checking my site on a broken link checked website and finding nearly 400 broken links that it hadn’t even picked up! It took me 6.5 hours to fix them all but I also found 500 links in my comments to my old domain that no longer exists so it was a clean up that needed to happen! This is extremely useful. Thank you so much for sharing. I’m off to check for broken links now. I have shared this as much as I can. 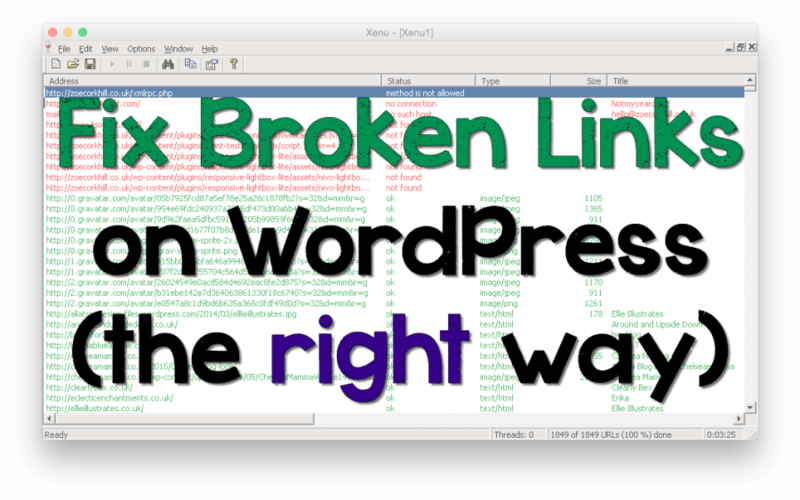 If your site can’t handle the broken link checker, get a better host. I’ve got it running on a couple of sites (including my blog, with thousands and thousands of posts, pages, comments… admittedly because I’d forgotten about it) and resource usage doesn’t budge off the baseline. That said, if your main reason for fixing links is because Google says so, hook up to Webmaster Tools (AKA Search Console) and get a list from the Crawl Errors page. At least that way you can prioritise the ones Google gives a crap about, rather than obscure links on 10 year old posts or whatever. 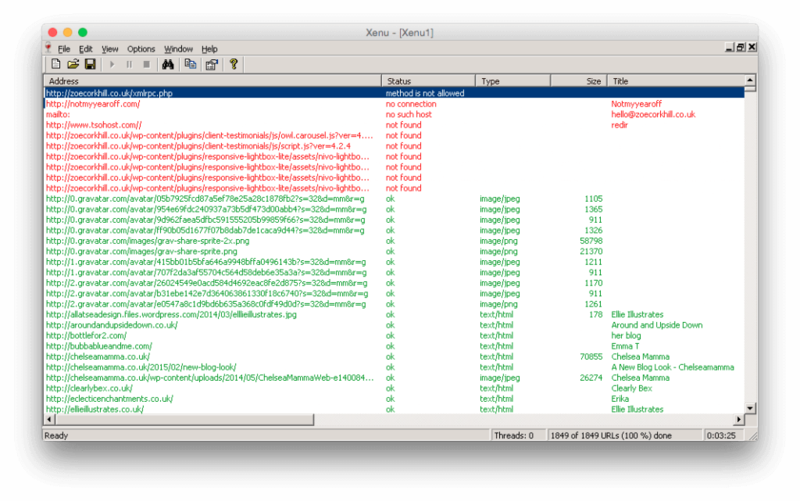 My main reason for fixing links is the user experience, not Google. But a lot of people talk about the SEO implications so I wanted to talk about that. Thanks for this. I’m about to start for the first time. Nervous is an understatement!